Sorry for the delay in announcing the winner of the Everyone Loves Austin Tee or Tank Giveaway. I was in a creative funk this week and in a lot of pain due to my wisdom teeth. Good news is, I got my wisdom teeth out about two hours ago! Now you’ll have to listen to me announce the winner of the giveaway on painkillers with my eyes half-closed. Please email me at laurenmodery at gmail dot com if you’re the winner! Everything is a-ok right now. 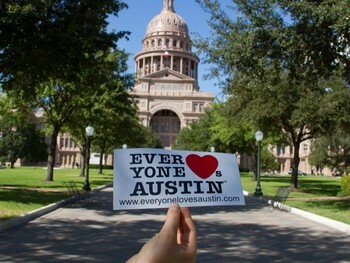 Giveaway: Wear Your Austin Pride with Everyone Loves Austin! I kind of like doing these giveaways. They’re a lot of fun and a great way to share with you the things I love! I’m really really f’ing excited to be doing a giveaway with one of my favorite Austin organizations. Everyone Loves Austin is a preservation and pride movement created by the lovely Sophia Veronica Erian (read more about ELA’s manifesto here). When I found out about Everyone Loves Austin, it reminded me of my enthusiasm when I first moved to this city. That excitement has barely wavered and I proudly wear my Everyone Loves Austin tank when I feel particularly gushy about Austin. The tank is frequently a conversation starter with others who love this amazing city too! We are giving away one Everyone Loves austin t-shirt or tank to one lucky boy or gal! 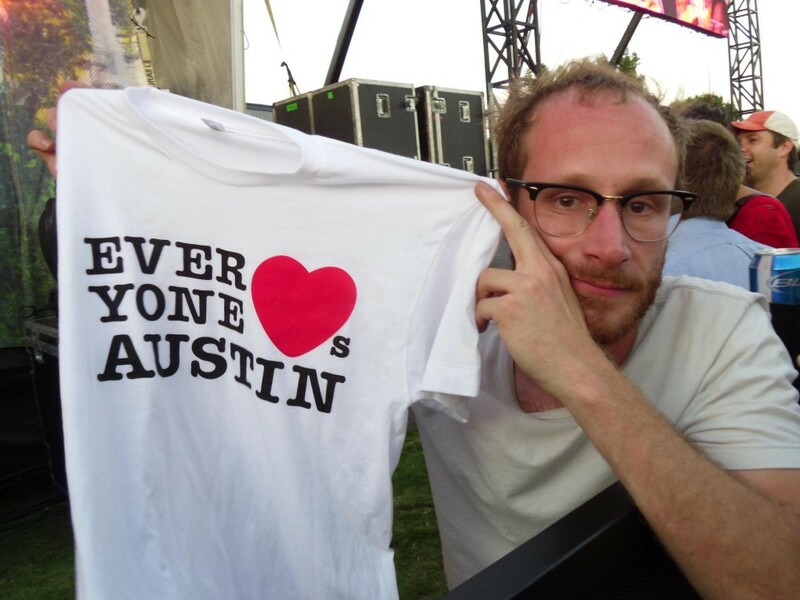 Fashion Friday: Everyone Loves Austin! What is Everyone Loves Austin? ELA is an Austin pride and preservation movement created by the sweet Sophia Veronica Erian. 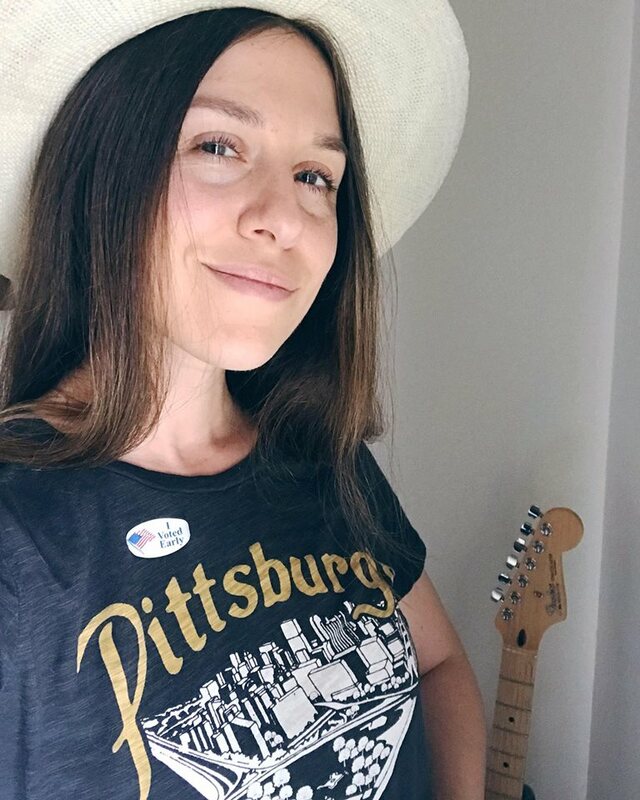 Being a huge fan of Austin herself, she created Everyone Loves Austin as means for people to collectively share their pride for this wonderful city (think “I Love NY”). 10% of the proceeds of ELA’s merchandise goes to HAAM (Health Alliance for Austin Musicians), while another 10% goes towards Keep Austin Beautiful. I love this tank. Every time I wear it, it’s gets a conversation going about how much we all love this city. I will be holding a giveaway next week for an Everyone Loves Austin t-shirt or tank, so make sure to come by next week!